It is with bittersweet excitement that I announce the final Pittsburgh Cultural Trust giveaway for the season! This show is way unique, is part of the Children’s Festival and is something you’re totally not going to want to miss. This show is named after the famed Japanese author Huraki Murakami (hence Murikamification.) As his novels are completely unique experiences, so is this show. Content Information: Best for ages 7+. This show is non-traditional and takes place throughout the Cultural Distict. Audiences will be provided with a meeting point prior to the show day and time. Artists will lead the audience on a theatrical adventure filled with comedy, acting, improv, acrobatics, dance, physical theater and music. Performances occur rain or shine. No late seating. To celebrate this last show of the season, Femme Frugality has partnered with Pittsburgh Cultural Trust to bring you four (4) free tickets to a showing of your choice! Use the widget below to enter. Best of luck, and don’t forget that we have a giveaway going on for Emily Brown and the Thing, too! Enter before both close at 11:59p on May 6th, 2019! 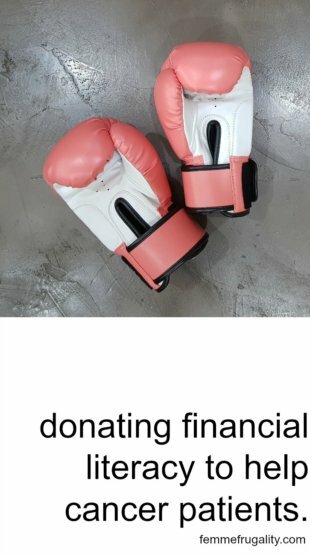 This entry was posted in Pittsburgh on April 16, 2019 by femmefrugality. This post is in partnership with Pittsburgh Cultural Trust. We’re drawing near to the close of this season’s children’s theater series put on by the Pittsburgh Cultural Trust. I know our family has had an amazing time exploring the upside-down world of Leo, the messages of acceptance and friendship in Your Alien, and the mad talent that was on display at The Hip Hop Nutcracker. But do not worry–the season isn’t over yet! We’ve still got one more show for the age 3+ crowd in the Citizens Bank Children’s Theater Series and then another in for families with kids ages 7+ in the EQT Bridge Theater Series. Today’s ticket giveaway is for the 3+ crowd. 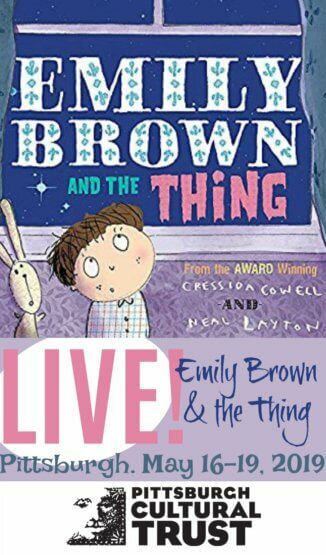 Emily Brown and the Thing is a beloved children’s book. 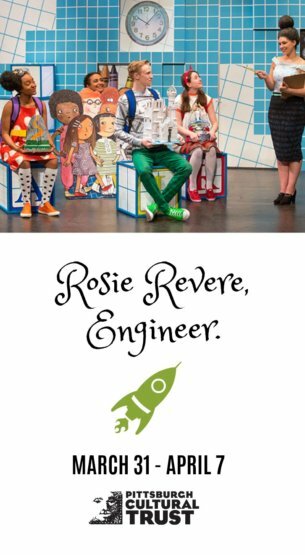 If you really want to get the kiddos excited for the show, you can get a copy of the book to introduce to your home library prior to attending. Here’s everything you’ll need to know about the show, including a preview from Tall Stories, the company who will be performing in Pittsburgh on May 16-19, 2019 at the August Wilson Center. View available seating here. One evening, Emily Brown and her old grey rabbit Stanley hear a Thing crying outside their window. He just can’t get to sleep. 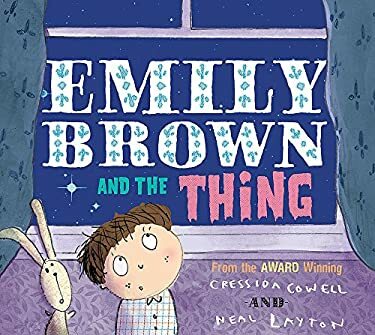 Emily Brown and Stanley set off on incredible adventures to the Dark and Scary Wood, the Whirling Wastes and beyond, to find the Thing’s cuddly, his bedtime milk and his medicine… But nothing seems to help him settle. What’s really troubling the Thing–and will anyone ever get to sleep? Find out in this magical, musical show based on the much-loved book by Cressida Cowell (writer of ‘How to Train your Dragon’) and Neal Layton. 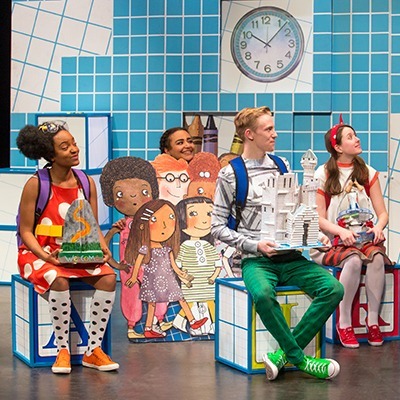 Content Information: Best for ages 3+ This show features acting, puppetry, music, and movement. The theater will be darkened for the performance with light and movement occurring on stage. I’m making this one a little longer for you guys as it’s the last one for this age group (though be sure to check back next week for the 7+ age bracket!) This one will be running through May 6, 2019, so be sure to use the extra time to rack up extra entries! The prize, by the way, is four (4) tickets to any one of the available showings of Emily Brown and the Thing with the Pittsburgh Cultural Trust between May 16 and May 19, 2019. You’ll get to pick which one. This entry was posted in Pittsburgh on April 8, 2019 by femmefrugality. When I started working with the Pittsburgh Cultural Trust, I was super excited for all the shows I’d be able to bring you guys, all the shows my kids would experience and the ticket giveaways. While I have thoroughly enjoyed every last performance we’ve attended, there was one on the roster that I knew I’d want to see whether I had kids or not. That show is Leo. Leo is only showing twice while in the Steel City: once on March 29th at 7p and once on March 30th at 2p. Both shows will be at the Byham Theater, and tickets start at just $12. What would happen if the law of gravity were to suddenly change? 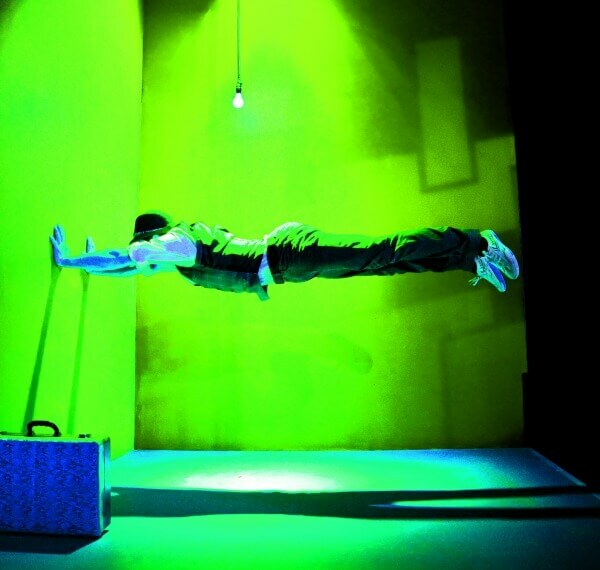 LEO is a mind-bending, funny, surreal, and surprisingly touching theater work that challenges the senses and tests perceptions of reality through the clever interplay of live performance and high tech video projection. Universally appealing to adults and children, LEO leaves audience members wondering which way is up and which way is down. 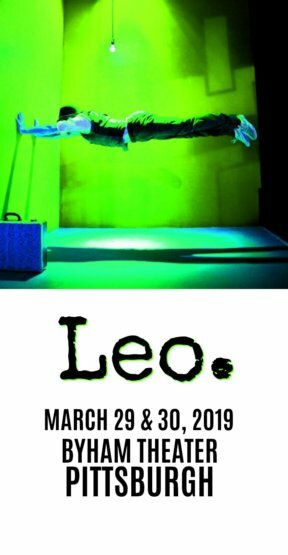 Winner of several major awards including the Carol Tambor Best of Edinburgh Award and the Scotsman Fringe First Award, LEO has dazzled audiences and critics in cities all around the world. Content Information: Recommended for ages 7+. This show takes place in darkness with bright video projections and moments of silence. It features comedy, physical theater, music, sound effects and video projection. Please note: Due to the lighting and sound aspects of this production, there is no late seating or mid-performance re-entry. Win free tickets to see Leo in Pittsburgh! I’m thrilled to open up our next ticket giveaway for the 2019-2020 season! Brought to you in partnership with the Pittsburgh Cultural Trust, we have four (4) tickets to see either Friday’s or Saturday’s performance of Leo. This is one of four remaining giveaways for the season, so if you’ve been meaning to enter one of these now is the time! Get started using the widget below. This giveaway is open until 11:59p on 3/18/19. This entry was posted in Pittsburgh on March 4, 2019 by femmefrugality. This weekend in Pittsburgh, there’s going to be this great event. It’s Hair Peace‘s annual Recipe for Hope, where local celebs and chefs will be serving up food and raffling off prizes to a sold-out audience to benefit the charity. Hair Peace helps women and girls here in Southwestern PA buy wigs after they’ve been treated for cancer. The organization started after local radio personality and founder, Bonny Diver, sought treatment for breast cancer and found out that most insurance companies will not cover a wig, even though you can lose your hair after the first treatment. For over fourteen years, this event has been raising money to give girls and women battling cancer the confidence they deserve. At the Recipe for Hope event this weekend, they’ll also be doing silent and live raffles for various items. You know, gift baskets, gift certificates, etc. My friend sits on the board and asked if there was anything I’d like to provide. 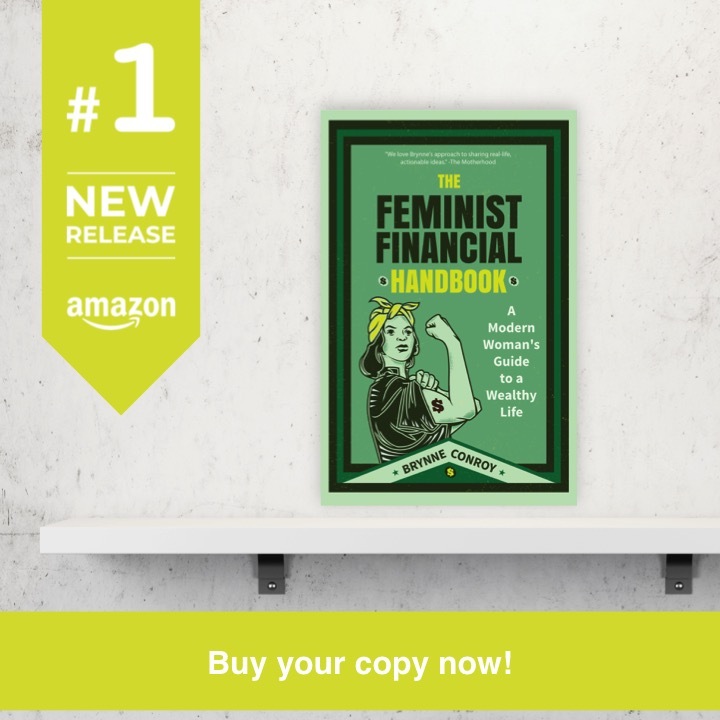 My primary output of benefit to the public at large is personal finance content, so I thought that while my services might not be valuable to everyone, something like my book could definitely help out. And I just happen to know some other awesome people who have written crazy helpful and transformative money books, too. So I sent out an email and got together a gift basket. Guys, I was shocked by the response. I was expecting maybe a 50% response rate, and then I’d get together some potential names for email round 2. People are busy. Getting to the post office to mail a book is kind of a pain. I care about girls in SWPA, but maybe they preferred to focus their charitable efforts elsewhere–maybe somewhere closer to their own homes. Instead, within 48 hours 100% of the women I reached out to responded, wanting to participate and asking me for the best address to send the book. I am so incredibly appreciative not just for their generosity, but also for their excitement. Jackie was awesome and sent along her signature $2 bill for the basket, too. And Jen included not only her book, but also the workbook that goes along with it. Kristin and Emily were amazing with their responses, and Erin has a sequel to Broke Millennial coming out in April that covers investing! Want to give back, too? The money this basket brings in will allow more girls and women to buy the hair pieces they need. But you don’t have to donate a book to help out. You don’t have to be local, and even if you are, you don’t have to go to Recipe for Hope to lend a hand. 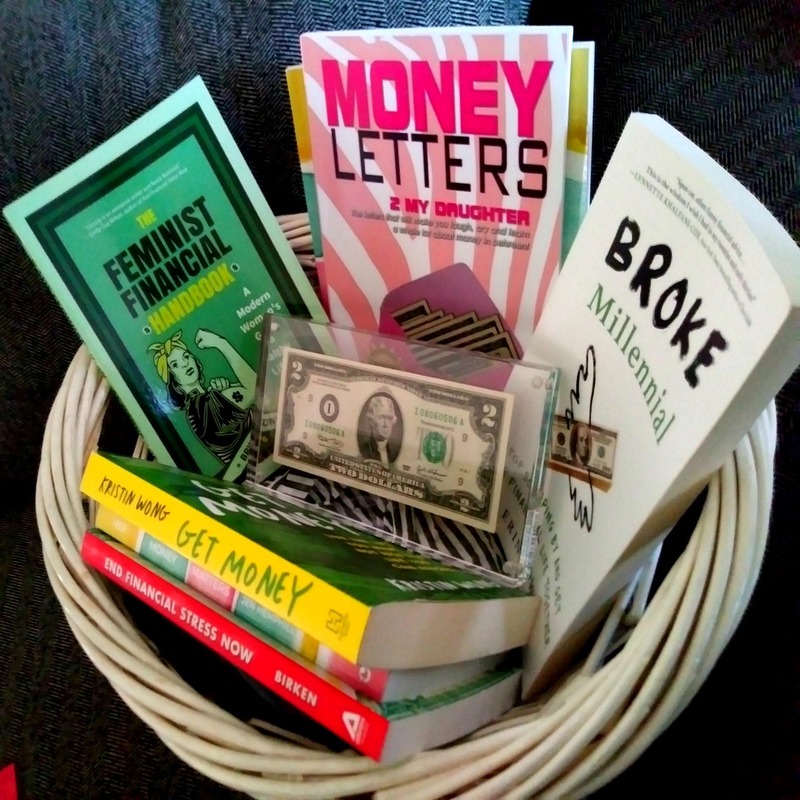 This entry was posted in Money Management, Pittsburgh on March 1, 2019 by femmefrugality.